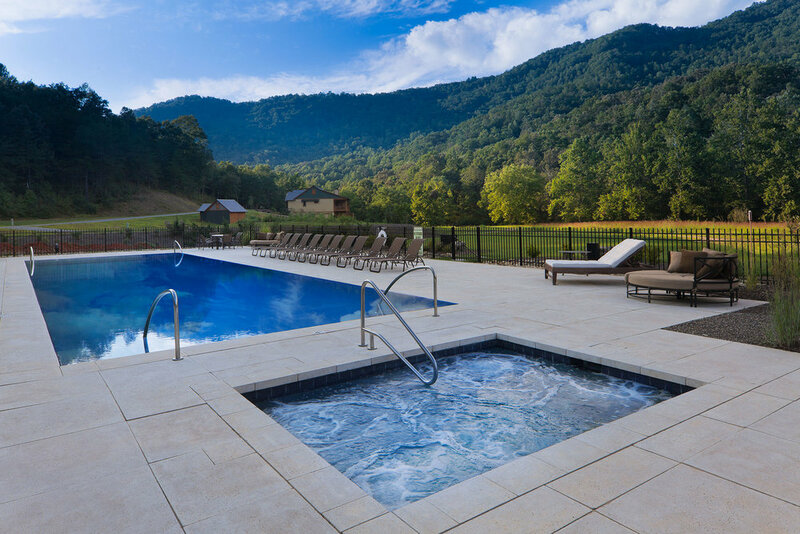 Sundrop Club Pool | Medallion Pool Co.
Nestled in the Blue Ridge Mountains, this commercial pool was constructed with a knife-edge perimeter overflow feature which utilizes the reflective qualities of water, a central component of great “watershape” design. In addition, the automated chemical treatment process means 30-40 years of carefree enjoyment. At Medallion Pool, we begin the design process with not just the completion date in mind, but looking forward years down the road.